For mobile phones, smartphones, iPods, MP3 players and other mobile devices. Compatible with almost all phones. 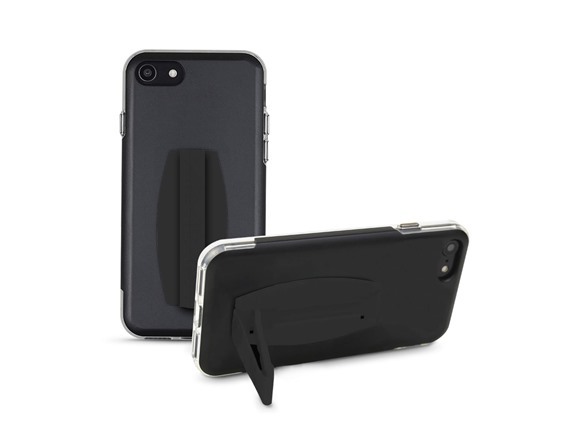 Use of a non-silicone phone case, attaching grip stand to case, is recommended. If you are using with iPhone X, iPhone 8, iPhone 8 Plus or black/jet black versions of iPhone 7 or iPhone 7 Plus, all of which have a glass or high gloss surface, the use of a case is required. Utilizes residue free 3M adhesive tape. 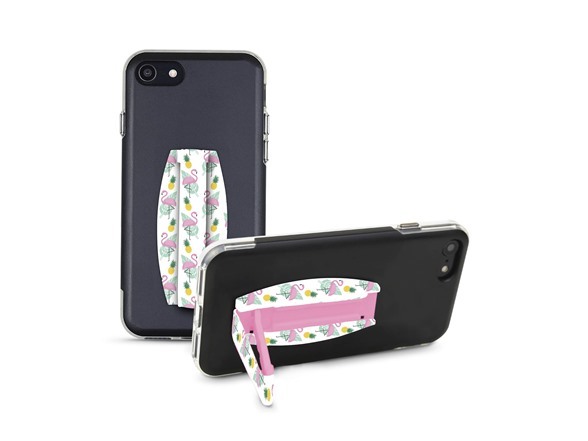 Convenient and comfortable elastic finger strap allows you to securely hold and operate your mobile phone or device without the fear of dropping it, even when you only have one hand free. 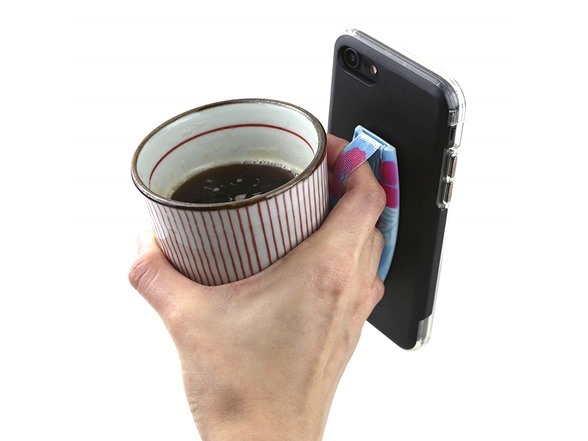 Perfect for selfies, one-handed texting, answering and making phone calls, emails, taking photos or just checking social media accounts. 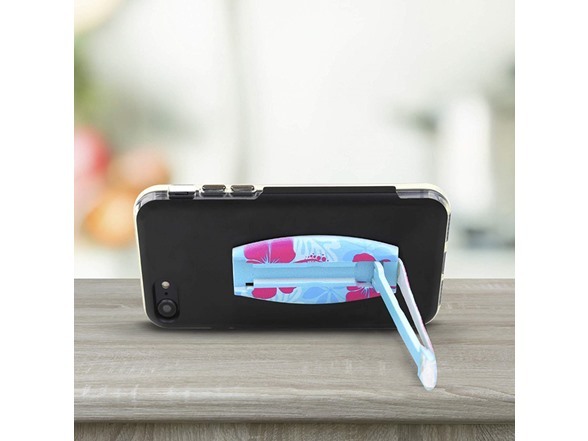 Built in phone stand allows for hands free viewing of movies, reading, playing games, using Facetime, Skype or just browsing the web. Great for travel or keeping the kids entertained. Phone strap with stand features a slim design that lays flat against your device. Unlike bulky finger ring holders or other phone finger holders, the kickstand and strap add only about 1/16 inch to phone depth, when stand is not in use, making it easy to slide in and out of your pocket. 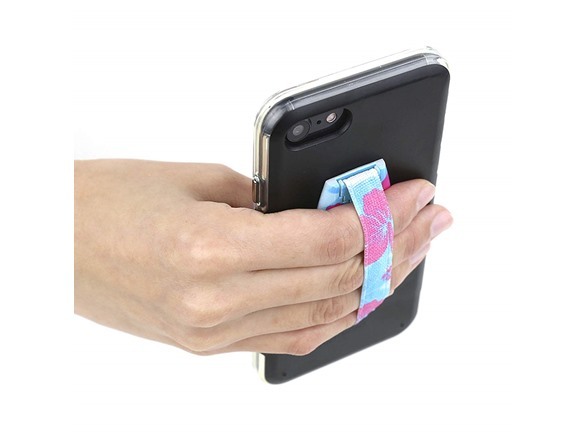 The phone finger holder is the perfect solution for anyone seeking a safe, convenient way to hold his or her phone while running, jogging, hiking or walking the dog. Safely and easily access all your apps including Phone, Text Messaging, Instant Messaging, Email, Social Media Notifications, Time Display, Music, Music Players, Activity Tracker, Calorie Tracker, Heart Rate Monitor, Distance Tracking, Elevation Tracker, Fitness Tracker, GPS, Location Tracking and Pedometer.